Last updated on April 19th, 2018. 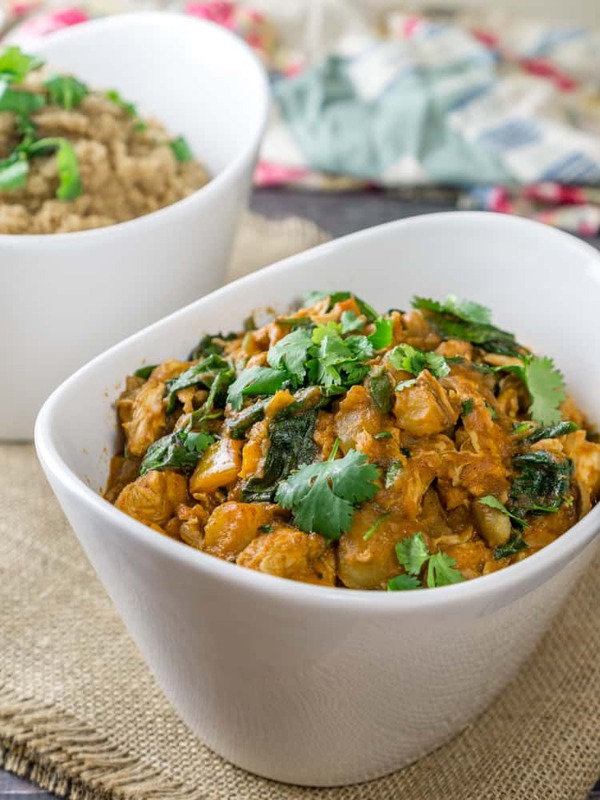 This super flavorful Ethiopian Chicken Stew with bell pepper and baby spinach will fill your house with an amazing aroma as the delicious sauce thickens on the stove top. One bite of the tender chicken and you will be in love with this dish! Serve over your favorite rice or grain or with freshly made injera bread. Soooo, you know that house we put an offer on that I mentioned in my other post? The inspection found so many problems with it that I don’t even know how that house is still standing. I don’t know how we missed it, but the house is totally crooked and the floors are caving in. The roof is also bowing and is not supported properly from the inside. We are definitely getting out of that contract and continuing our house search. Alas. This delicious Ethiopian Chicken Stew was a good way to drown our house sorrows! 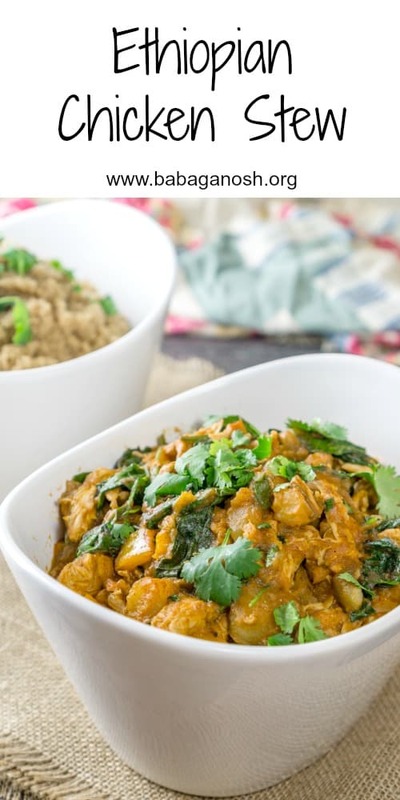 Ethiopian food is one of my favorite cuisines because of its hearty, delicious spicy flavors, so I wanted to cook something that I find very comforting. 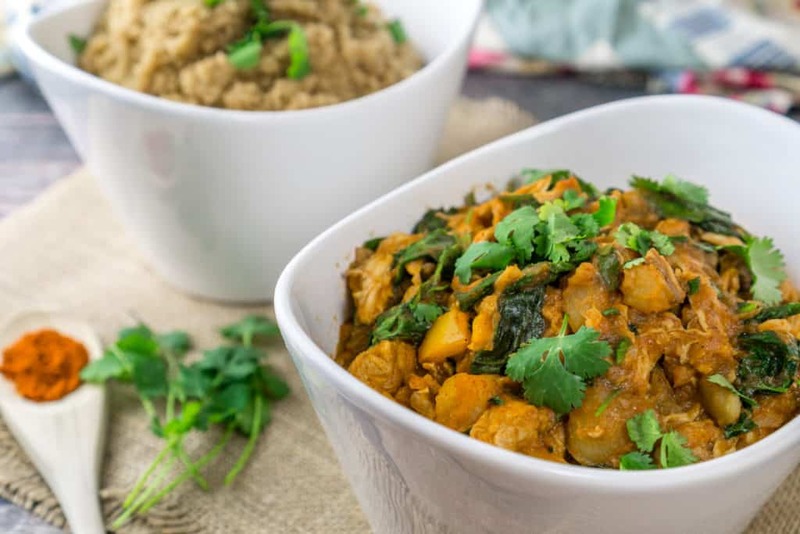 This Ethiopian Chicken Stew is very flavorful with a lovely heat coming from the Ethiopian spice mixture called berbere. The chicken is cooked until it is very tender and falls apart. I made the dish even healthier by throwing in some bell peppers, cooking them until they are crisp tender, and stirring in some baby spinach to wilt. 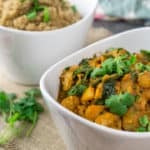 This recipe is pretty amazing because it is a super healthy dinner dish that is the ultimate comfort food, but also super delicious! It’s been good to get into the kitchen and cook something so flavorful and to let something simmer on the stove and fill the house with an amazing aroma. For the last several weeks I’ve been making quick meals such as the Shrimp & Sausage Skillet, and have been having salads for dinner (Summer Chickpea Salad and Tropical Shrimp Avocado Boats), so this recipe was a nice change for us. And even though this dish simmers on the stove top for almost an hour, it requires minimal hands-on work and is a great recipe for summer when you are tired of salads but still want something easy to make. 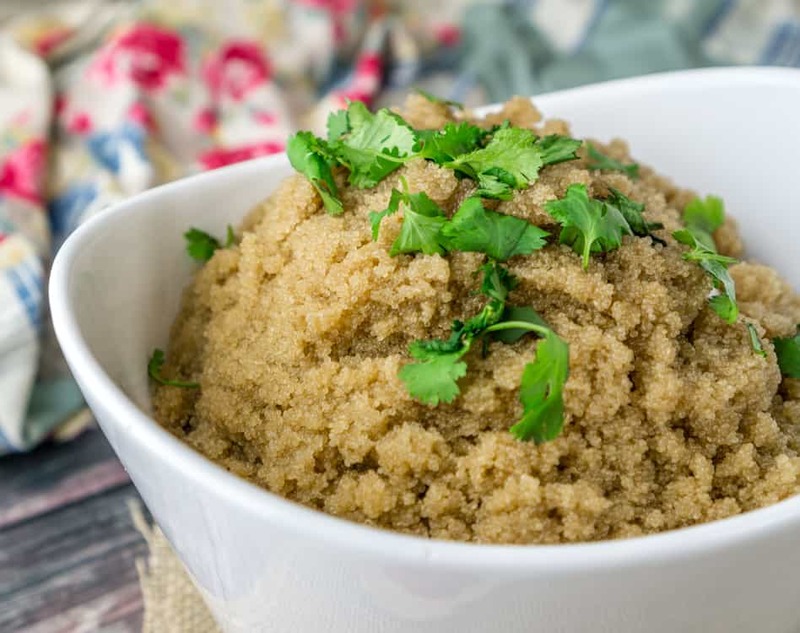 I served this dish over amaranth, which is a tiny grain that is high in protein (similar to quinoa but with the texture of couscous). This would also be delicious served over rice, quinoa, with mashed potatoes or with the traditional Ethiopian flatbread, injera. 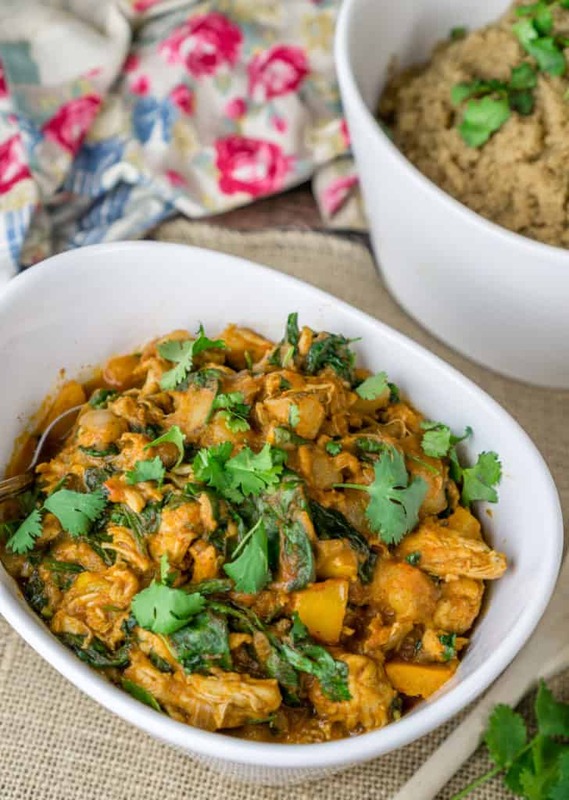 This flavorful Ethiopian Chicken Stew with bell pepper and spinach will fill your house with an amazing aroma as the sauce simmers on your stove top. If your spice tolerance is low, I recommend substituting paprika for a portion of the berbere. It will still give this dish a delicious flavor and color, but without as much heat. This dish is spicy! Hi Kate – I wanted to let you know that I made this dish tonight and it was awesome! I love Ethiopian food and it’s a little hard to find in small town Minnesota. I had purchased some berbere from a food coop awhile ago and was happy to use it! You can find any spices needed at Penzey’s.com. Or visit one of their three stores in Minneapolis-St Paul. Lovely berbere and anything else you can think of.